Are you looking for Furnace Repair in NJ? 1st Choice Plumbing, Heating and Drain Service provides customers with reliable Furnace Repair in NJ for your heating needs. No matter what time of the day your furnace stops working, our heating professionals provide 24/7 emergency Furnace Repair in NJ. We will fix your furnace for a comfortable home and properly working heating system. Without a properly functioning furnace, your home will not provide you with enough heat to last the winter. At 1st Choice Plumbing, Heating and Drain Service, we specialize in Furnace Repair in NJ to save your home from the cold. Whether your furnace has a loose belt, an ignition problem, pilot light issues, fan motor difficulty or a wiring problem, our Furnace Repair in NJ is guaranteed to fully repair your heating system. At 1st Choice Plumbing, Heating and Drain Service, we specialize in Furnace Repair in NJ that will return your home to a comfortable environment with clean air and the right amount of heat. For more information on Furnace Repair in NJ, call 1st Choice Plumbing, Heating and Drain Service at 201-288-0390! 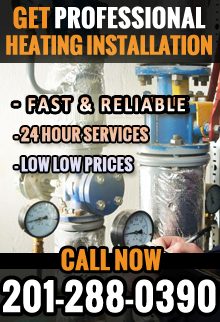 1st Choice Plumbing, Heating & Drain Service – Your trusted source for Furnace Repair in NJ.